WATCH: What is former footballer Trezeguet doing in Malta? 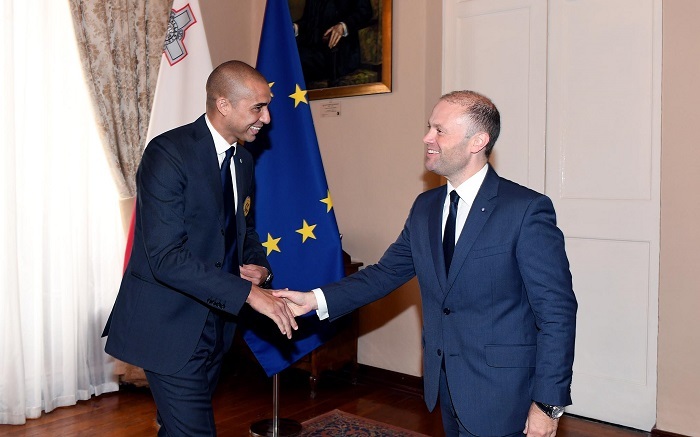 Former French football player, David Trezeguet, is currently in Malta. The former Juventus player is in Malta to represent the Blockchain company, Champion Coin ICO, during the Malta Blockchain Summit. The summit, the first of its kind organized in Malta, is being held with a two-day conference at a major hotel in St Julian’s.